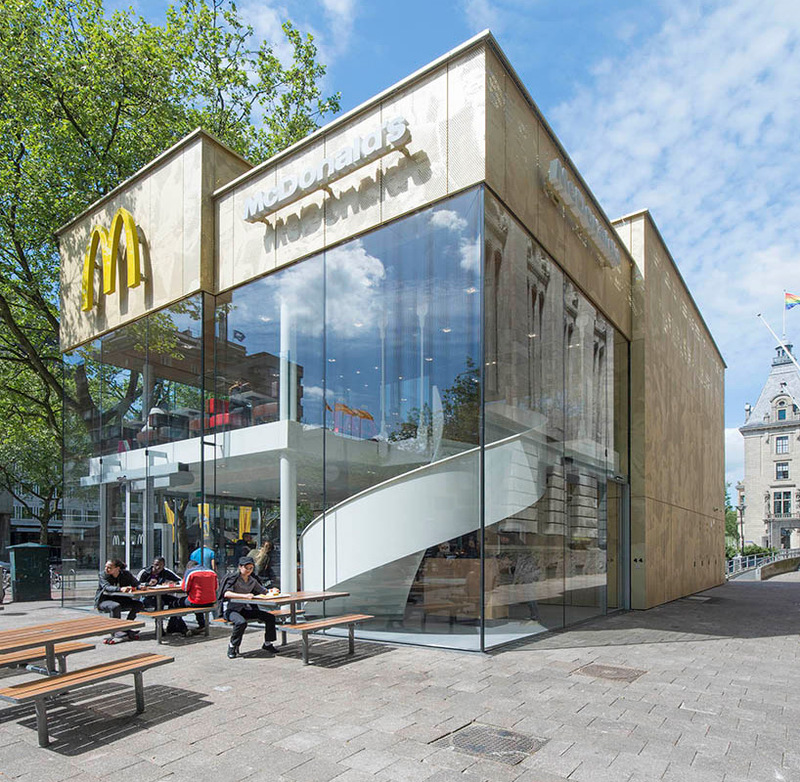 the ‘coolsingel mcdonald’s’ in rotterdam, the netherlands is a revitalization of what had once been voted the ugliest structure in the city. 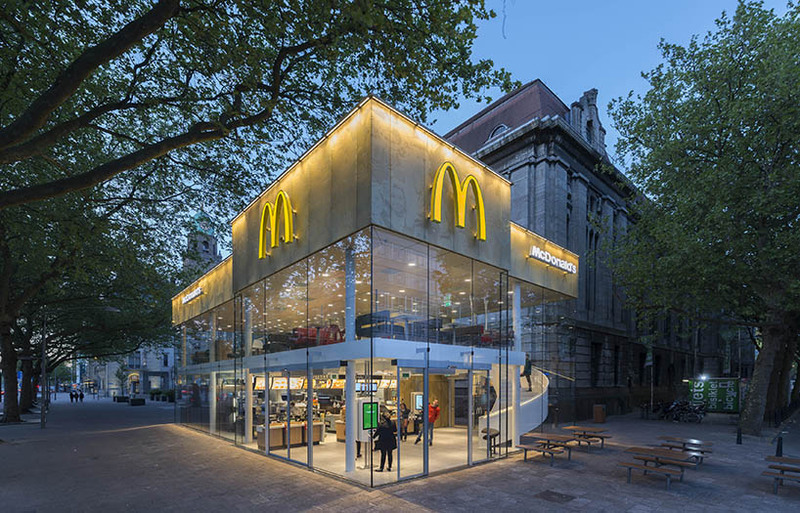 obviously, the accolade was unwanted for both mcdonald’s and locals, which resulted in a refreshed designed being commissioned to firm mei architects and planners. 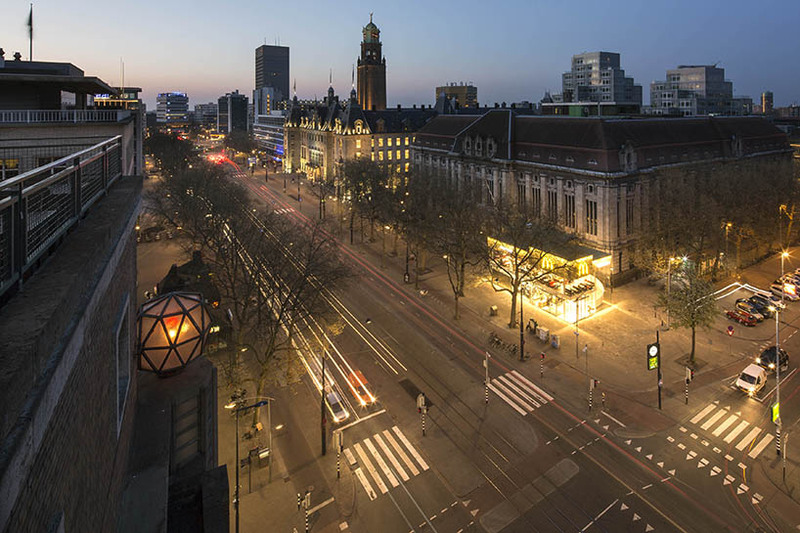 the building is located amongst a range of historical buildings. 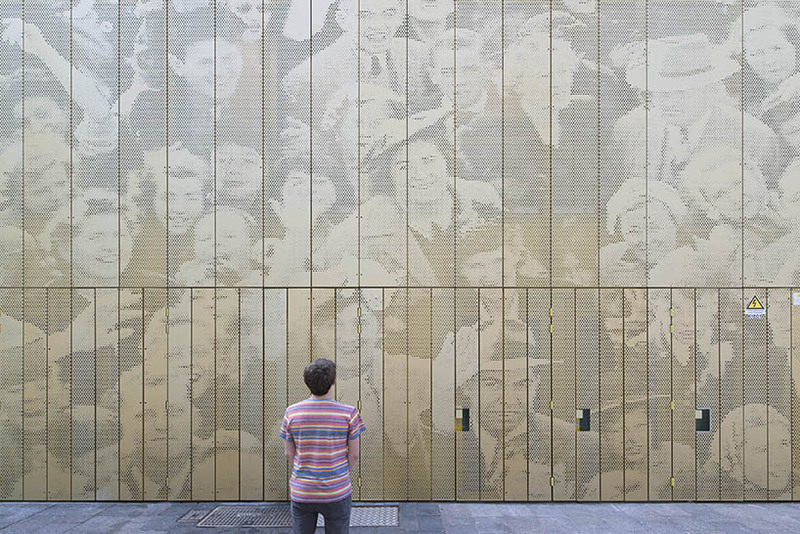 in order to maximize exposure to the various sites, mei carefully articulated the building volume. 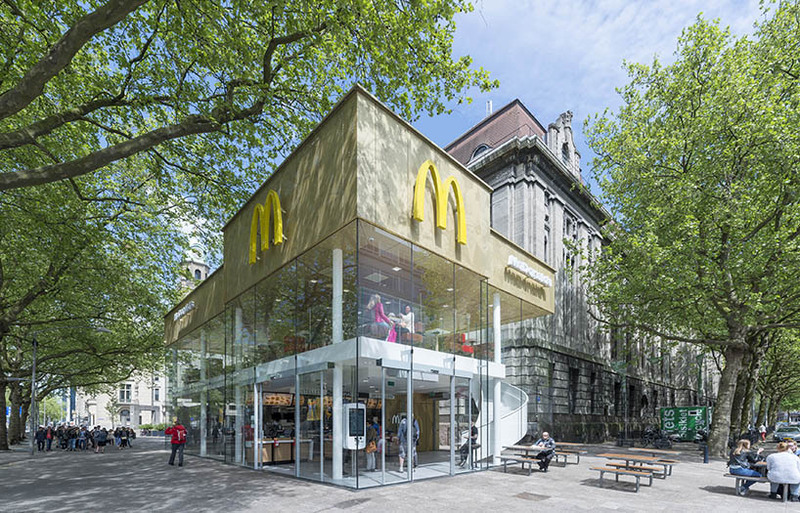 as a result, it has a compact form with glazed façades 360 degrees around. 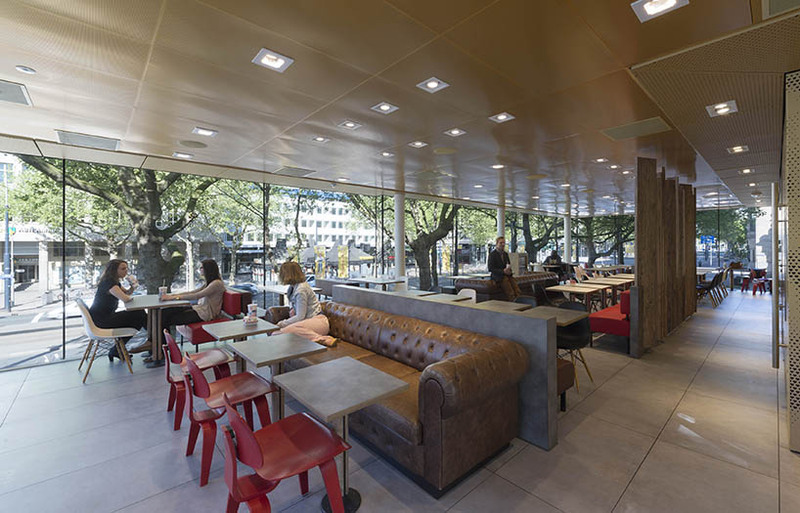 the ‘coolsingel mcdonald’s’ has a fully transparent lobby — entrances on three sides — and both indoor (2nd floor) and outdoor seating areas. 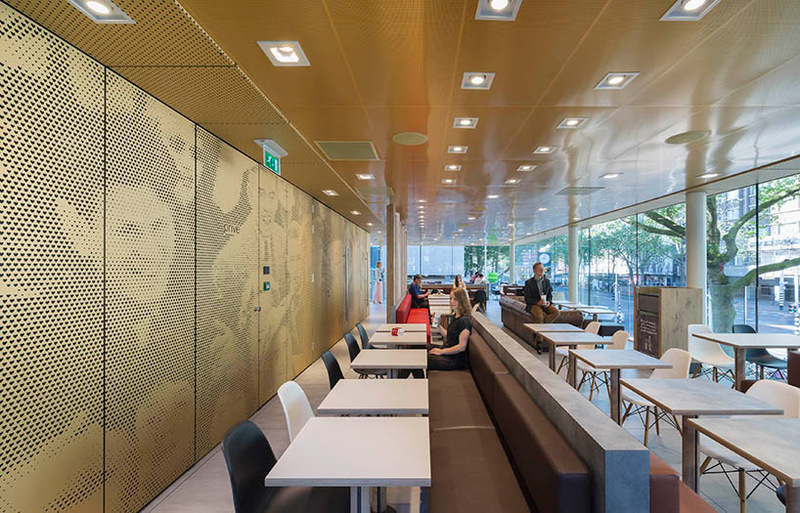 gold anodized aluminum is used heavily throughout, chosen in part because its long-endurance and vandal-proof qualities. 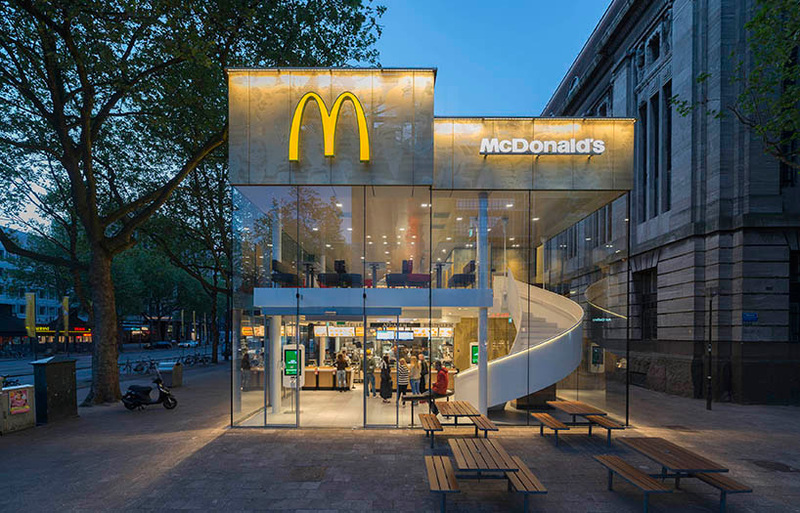 since mcdonald’s is a 24 hour restaurant in rotterdam, after-dark appearance was just as considered as daytime. 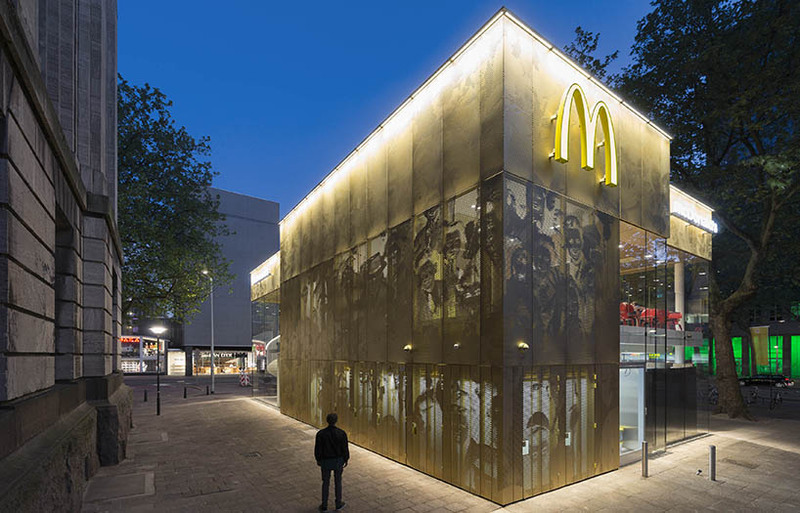 at night, the building glows, with light pouring out of an outer screen perforated with heart-shaped openings. 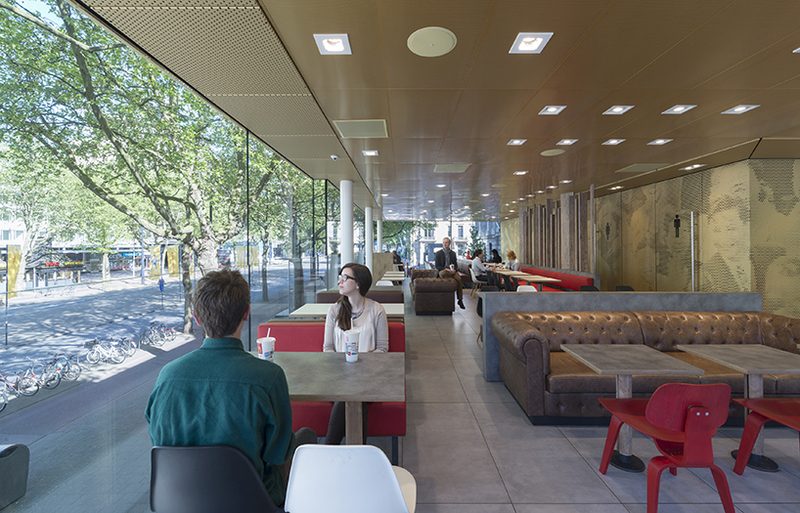 kitchen and service counter are located on the ground level, and a single steel spiral staircase leads upwards to the indoor dining area. 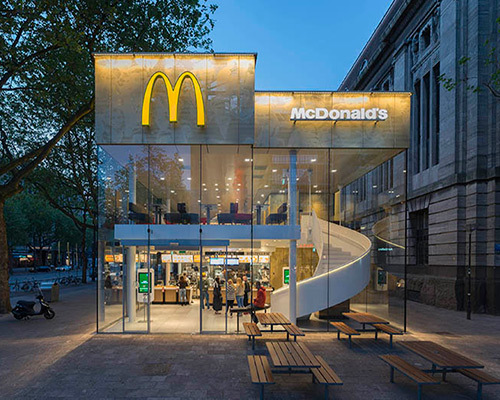 Missed a chance here to take a risk with being more subtle – remove the macdonalds name and just have large M arches forming the doors in and out, in the same place they are now.